B.C. Premier says offer to LNG Canada is part of a "clear framework" for the approval of any LNG projects under the NDP. B.C. 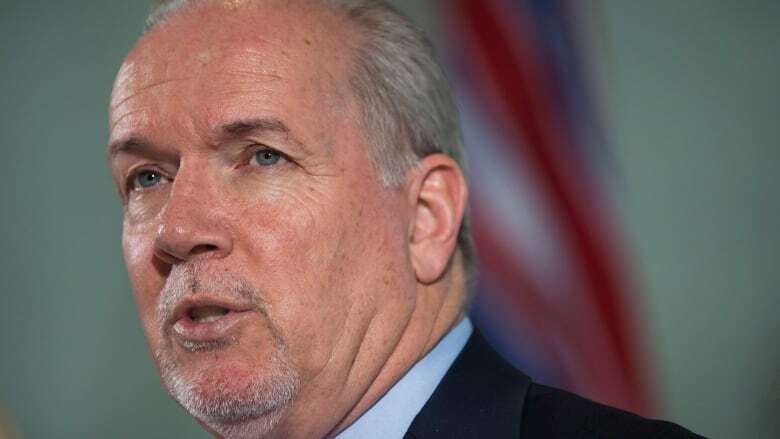 Premier John Horgan says the province is willing to offer a break on carbon tax as well as an exemption on provincial sales tax related to construction costs at a $40-billion liquefied natural gas export terminal under consideration for the northern community of Kitimat, B.C. The NDP leader laid out the incentives as part of what he said was a clear framework for the approval of any LNG projects under his government's tenure. They include a fair return for the public, job creation, partnership with First Nations and a guarantee to protect the environment. "I don't believe at all for a minute that this is going to be easy," Horgan told a news conference in Victoria. "This is going to be very, very difficult, but we're committed to making sure it works." Horgan rejected a suggestion that his government was offering the same kind of incentives to LNG projects for which they criticized the previous Liberal administration. Those sweeteners included a promise to compensate a major LNG project that was slated for Prince Rupert for any tax raises over a 25-year period after the plant starts shipping. A consortium led by Malaysian energy giant Petronas cancelled the project last summer. A final investment decision is now looming for the LNG Canada Kitimat project backed by Royal Dutch Shell in partnership with Petrochina, KOGAS and Mitsubishi Corp.
Horgan said he wanted to be transparent on what the ground rules would be ahead of any deal. "I'm standing before you today and speaking directly to the people of British Columbia and saying there may well be a final investment decision on an LNG facility in northern British Columbia, and should that happen, we will put in place a framework that will allow them to be competitive," he said. "[The Liberals] got zero. We may get one. I believe there'll be a benefit to British Columbians." Horgan acknowledged that Green Leader Andrew Weaver does not agree with all the elements of the NDP's framework. 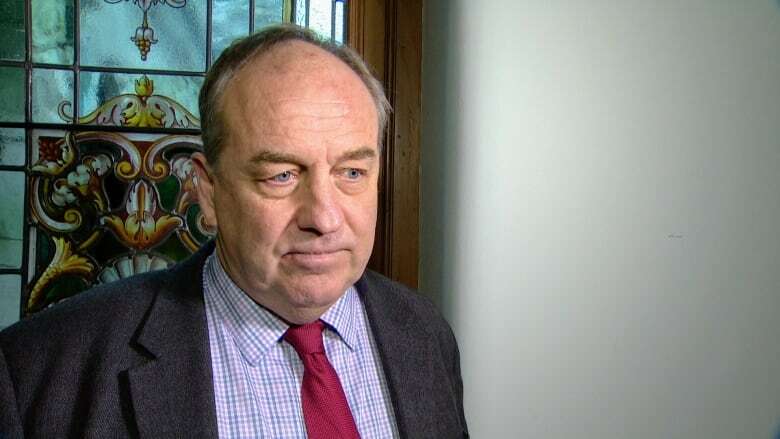 Weaver has threatened to bring Horgan's minority government down over its pursuit of LNG projects, but the premier said the two men had spoken at length about the plans. He left it to Weaver to state his position. "Andrew's very passionate about combating climate change. It's his reason for being in this legislature and he makes no apologies for that, nor should he," he said. "What he has done is he's agreed to work with us and other sectors of the economy to make sure that our climate action challenge plan is robust, realistic and can meet the challenges we all face to meet those objectives over time." At an afternoon news conference, Weaver said his party's confidence in the NDP government is "predicated on government developing a climate plan to meet our targets." Weaver said his party's target is a 40 per cent reduction in emissions by 2030. The NDP have said they share the same commitment, but Weaver pointed out that they have yet to produce a concrete plan for how to get there. But the Green leader suggested he wasn't ready to pull the plug on the so-called confidence and supply agreement he and Horgan signed in order to form government. "Our goal is not to throw down the government. Our goal is to get the government to deliver on the confidence and supply agreement," he said. "We're not making a threat ... show us the climate plan that will deliver this target, and we will continue to have confidence in government." A decision on the LNG Canada project is expected later this year. According to information provided by the province, the project would be the least greenhouse gas intensive large LNG facility in the world. The B.C. ministries of finance and energy have estimated that the project will generate $22 billion in direct government revenue over the next 40 years. The project is also expected to employ as many as 10,000 people by 2021. In response to Horgan's announcement, the LNG Canada consortium put out a statement praising the framework. "LNG Canada welcomes these measures, which will promote access for natural gas from BC to be exported as LNG to the fastest growing economies in the world," the statement read. "For BC and Canada to miss the next opportunity to supply LNG would be a significant loss to the province, the country and the globe.